The paper was made with an unusual material: not waste paper, rags or wood, but with pages from the creation narratives of the Torah, Bible, and Quran. Three exact equal parts were used, accurate to the tenth of a gram, from the Genesis sections of the three holy books. It’s interesting that these three world religions have so much in common while it evolved into huge differences, hatred and murder. This blended paper is a paradox, it still contains the original texts but was changed into unwritten pages. 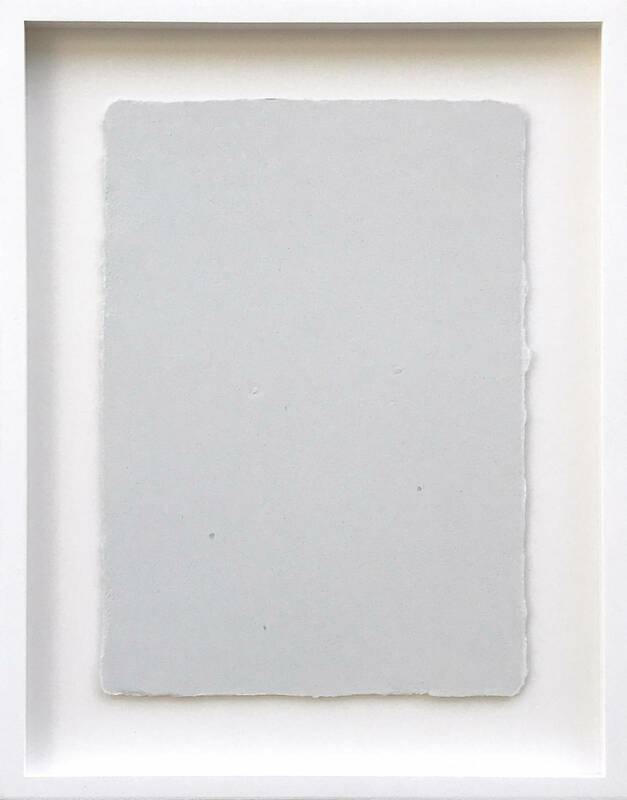 Hand made paper, 16 x 21,5 cm.